During the past few months, you may have noticed something missing in downtown Woodstock. No, I’m not referring to the old town mural; a new one was created on Mill Street. And I’m not referring to the building on the corner of Mill and Main streets that was recently taken down. I’m talking about something much older. The Reeves House, which had been abandoned for decades, sadly had to be demolished a few months ago. In years past, you could see it at the end of Elm Street. In recent times, it was a focal point on the Noonday Creek Trail. For years, it had been part of the plans of Elm Street Cultural Arts Village, which owns the property. A great deal of time and effort was spent raising funds to restore the building as a part of the planned artist village. However, fate had a different plan. The original Reeves House was part of a 14-acre farm. The house was one of the oldest in our community. Built in 1897-1898 by Luther Reeves, it was the main farmhouse of a 14-acre farm. Everything you see around it – apartment buildings, stores and shops, almost all of Main Street, Towne Lake Parkway, in fact all the paved roads – did not exist back then. It was the haven and homestead of Luther and his wife, Carrie, far out in the country. Through the years, they had eight children. 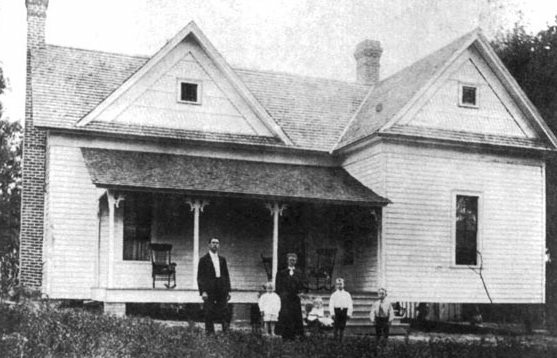 The house grew as the family did, with new additions cobbled on, including a second story and a few other rooms. The Reeves family lived there until 1945. During that time, they watched Woodstock grow into a vibrant community. Main Street, the cotton mill and the train depot, were all growing and bringing more people to town. Other owners took over the Reeves House, and as the town grew up around them, it became just another house among many others. The Reeves House was used as a private home until modern times. In fact, one of the most recent renovations added an HVAC system. However, a few decades ago the last owners left, never to return. The house sat vacant for many years, neglected and hoping to find new purpose. Enter the Elm Street Cultural Arts Village. When it purchased the house, it had big plans. The house would be the centerpiece of an artist village, featuring a gallery, events, art shows, classes, workshops and more. What went wrong? In the end, it was the house itself. As much as possible of the original wood was salvaged during demolition. Elm Street Cultural Arts Village brought in architects and engineers to examine the house and determine the best way to restore it. What they found was disheartening. It turned out, the house simply was not stable. 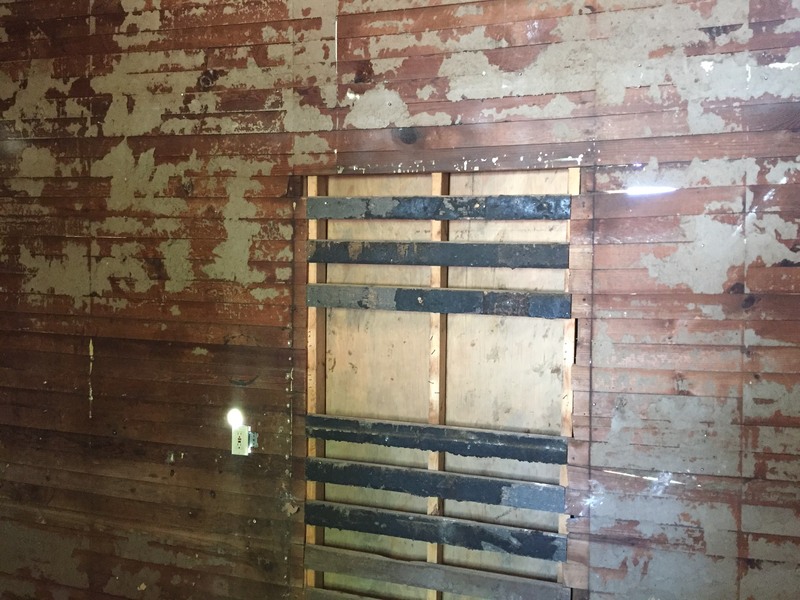 While removing boards from the walls and floors, they discovered the studs holding those boards were few and far between. The wall boards themselves were actually holding the building up, and removing them could bring the entire building down. Several boards were rotting, it was unsafe, and it was unstable. The decision was made, and not lightly, to take the house apart, plank by plank, and salvage anything and everything that could be used to rebuild it. 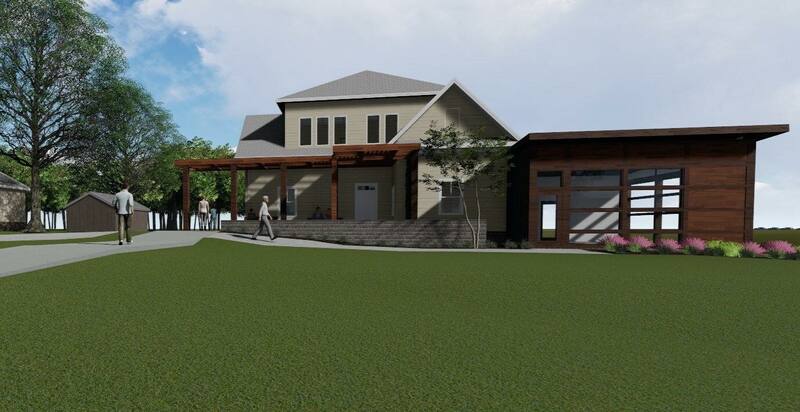 Architectural rendering of the new Reeves House. That’s the plan − to rebuild the house, and make it better and stronger than it was before, using as much of the original materials as possible. In the end, it’s probably the best representation of our town one could ask for. It will be modern, it will be strong, but it will be made using the best of our past, which is what makes Woodstock a strong, viable, and long-lasting community.